Pat Kelly joined Your Health Idaho at its inception as the Director of Finance and was appointed Executive Director in 2014. Pat brings more than twenty years of executive and management experience within the telecommunications and manufacturing industries. He oversees the organization’s strategic planning and development with an emphasis on customer experience and fiscal conservancy, and has established YHI as one of the nation’s leading exchanges. Pat is a Boise native and local small business founder, and also serves as President of the Board of Directors for the Bogus Basin Ski Education Foundation. Layne is a licensed Certified Public Accountant, serving as Controller for Your Health Idaho. His experience in creating financial and accounting processes, procedures, and controls are key to YHI’s success as a sustainable organization. 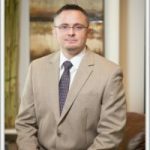 Layne’s accounting and auditing background ranges from small business to Fortune 50 corporations and Big Eight accounting firms. 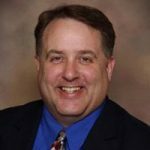 He has served as affiliate faculty at Boise State University’s College of Business and Economics. 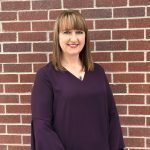 Alanee DeRouen has been with Your Health Idaho since 2016 as the Human Resource Generalist. 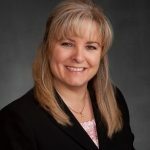 She brings experience in areas of recruitment, employee relations, employee engagement, and benefits administration. 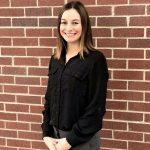 Alanee is a Certified Professional with the Society for Human Resource management and holds a bachelor’s degree in Business Administration from Boise State University. Matt is an experienced IT professional with over ten years in IT support, networking, and security. Matt oversees the day to day IT operations at YHI and manages the Privacy and Security program for the Idaho Health Exchange. 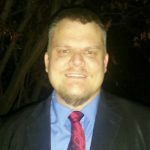 A Navy veteran, Matt is a Certified Information Systems Security Professional and has a bachelor’s degree in Information Systems and Cybersecurity. Cheryl Fulton, CAP has served as the Executive Assistant and Board Liaison at Your Health Idaho (YHI) since March of 2014. In this role, she provides operational support to the entire organization as well as administrative support to the Executive Director and the YHI Board of Directors. Cheryl has over 20 years of experience as an administrative professional including 10 years of direct support to C-suite executives. She earned her Bachelor of Science degree in Human Development from California State University, Fullerton. Cheryl is a Certified Administrative Professional (CAP) through the International Association of Administrative Professionals. Stephanie Husler is focused on improving technology while integrating data, systems, and processes across a variety of partners. Prior to joining Your Health Idaho, Stephanie spent 15 years in the healthcare and manufacturing industries. She brings diverse experience in project management, process improvement, partner community management, and organizational development. 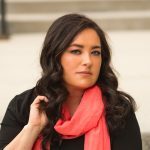 Stephanie earned her bachelor’s degree from Boise State University. 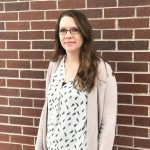 Meghan McMartin joined the Your Health Idaho team in 2015. 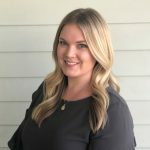 In her current role, Meghan oversees the strategic marketing and communications plan for Your Health Idaho including community education and outreach programs. Meghan is also responsible for media relations, advertising, and internal communications. Prior to joining the exchange, Meghan worked in fundraising and higher education. Meghan holds a bachelor’s degree in public relations from the University of Idaho. Frances Nagashima joined Your Health Idaho in 2014. She is the Manager of Policy Integration for Your Health Idaho, responsible for the analysis and implementation of policy for the exchange. Frances is also responsible for the consumer appeals process, as well as the training processes, to ensure policy compliance and process transparency for Idahoans. Frances holds a master’s degree from Georgetown University and the National University of San Martin (Buenos Aires, Argentina) in Public Policy and Development Management, with specialization in health policy. She holds a Bachelor of Arts degree from the College of Idaho. Frances is a native Idahoan and enjoys spending time volunteering, hiking, and traveling. 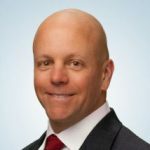 Kevin joined Your Health Idaho in 2015 and is a seasoned IT Executive with over twenty years of experience in the design, implementation and support of secure, enterprise local and wide area networks. An Air Force veteran, Kevin is a Certified Information Systems Security Professional, Certified Cloud Security Professional, Healthcare Information Security & Privacy Practitioner and has earned a Bachelor’s degree in Business Administration and Master’s degree in Cybersecurity & Information Assurance. Tera Rose joined Your Health Idaho in 2014. She brings over 18 years of healthcare related experience to her role. Tera’s experience and dedication has contributed to Your Health Idaho’s success by focusing on improving the customer experience. Outside of work, she enjoys volunteering for Special Olympics of Idaho and the YMCA. Tera graduated from Boise State University with a Bachelor of Science in Psychology.